A Guide To Decorating With Indoor Plants and Trees. 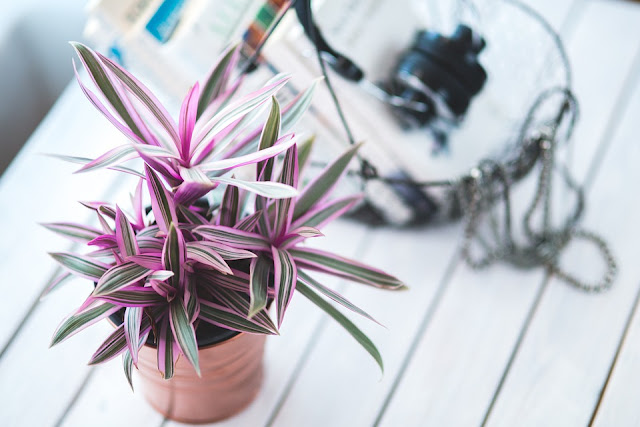 Houseplants can be an excellent way to fill out space and add some life to a room, but the hardest part can be working out where to put them – having enough space is only the start of your worries. Luckily, I’ve teamed up with Olive Grove to put together this quick guide to give you a few more things to think about, just in case. Some plants prefer heat, some prefer cold, and some don’t really care as long as they’re properly fed. This might not seem like a problem at first, but your house design could work against you – a room with plenty of windows probably shouldn’t contain plants that can’t handle constant heat and light, whereas an attic or basement with no natural light shouldn’t usually have any regular plants whatsoever. That’s not to say it can’t work – a cardboard shelter or nearby air conditioning unit can keep your plant healthy and happy if used right – but when it comes to choosing plants for their aesthetic value, you should really think about their optimal living conditions too. The larger a plant is, the harder it can be to move. Since you can’t really pack up a living plant and store it for later, it usually has to be kept somewhere if you're moving furniture around or making a change to the room – and if you can’t move it, then you’re stuck in a bit of a dilemma. There are a few ways past this, such as using lighter pots indoors or keeping plants in separate containers rather than one big one. Treat larger ones like a bed or wardrobe – there must be enough space for it to properly get through the door, which can be yet another problem if the plant has grown too big. On the other hand, sometimes it’s better to fit more than one plant in a container – it can break up the monotony and help keep everything contained in one place, without making it any heavier than it already is. Just be careful they don’t start fighting for root space, or one might suddenly wilt and die even if you’ve been feeding it properly. Bugs and insects can be harmful to pets and children, as well as getting in food or being a general nuisance around the house. Having a plant that attracts a specific type of bug can draw them away from the bedrooms and keep them contained in a patio or garage, but it can also draw more of them in too. With pollinating plants, this is even more of a risk – bees can do serious damage to a small child, and even one or two strong-smelling flowers will be sure to attract a handful. Things like olive trees are known for their ability to produce, well..... olives. This gives them a purpose and, in some cases, might even remind you to water them often. More passive plants might not spring to mind at the right time, especially if they’re in rooms you don’t go through often. The same can be said for plants that absorb a lot of CO2. They’ll have a noticeable effect on the air quality and smell around them, so you’ll be less likely to ignore them by accident. Plants aren’t just green, red and yellow – they can be almost any colour (sometimes even multiple colours at once) and choosing the wrong ones can lead to a hideous-looking display once it’s back in your home. A purple-petaled flower might look good in the wild but will probably seem a bit less majestic against a muted yellow wallpaper, for example. If you’ve got money to spare, and you need a centrepiece for an indoor stairwell or corridor, you can also go a little bigger. Pre-grown display trees can work wonders in the right spaces and might even work as natural dividers between two halves of a room, or as a way to block sunlight from other plants who need the shade. Or, if size isn’t viable, you can always go for quantity: a large pot can be turned into a mini garden with a variety of different plants, and you could even mix in some grass seeds to cover the soil. This now brings us to the end of the post, and a burning question inside my head right now is what's your favourite houseplant? I'd love to read your comments!